"Excellent job at not leaving behind garbage or nails, etc." Whether you are installing a new roof on a new house or replacing an older roof that is no longer doing its job, there are many choices in terms of the types of roofing materials available. Some of the different options include asphalt shingles, tile roofing, and more. At Oklahoma Strong Roofing & Construction of Greater OKC, you can trust that you'll have the best roofing in no time! Contact us today for your free estimate. We provide quality roofing services, including roof repair, roof replacement and installation in Oklahoma City, Edmond, Yukon, and the surrounding areas of Oklahoma! Oklahoma Strong Roofing & Construction is a full-service roofing contractor, specializing in everything from new roof installations, roof repairs and maintenance to total roof replacements. It doesn't matter what type of roofing system we are working with, we always ensure quality workmanship, excellent customer service and a long-lasting, durable roof over your head. Our roofers work throughout the Greater OKC area, including Yukon, Edmond, Oklahoma City, Duncan, Choctaw, Bethany, Mustang, El Reno, Chickasha, Wheatland and many parts of Oklahoma. 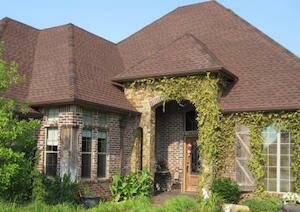 Call us at 1-405-322-5333 today to schedule an appointment for a roofing estimate.